Why use an AMD B450 motherboard? After the release of the AMD Ryzen 2nd gen processors, there was a need for B450 motherboards with enhanced technologies and performance. 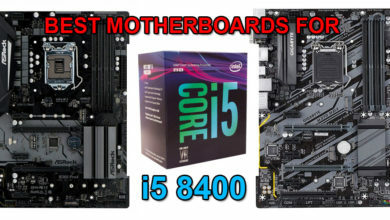 It took a while for the motherboard makers to launch the B450 chipset motherboards in the market after the 2nd Gen Ryzen processors but now we have them. 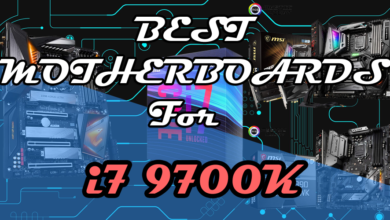 As compared to the X470 chipset motherboards these are not as powerful in overclocking and other features, but the much-needed thing which is “Overclocking” is possible with the B450 motherboards. 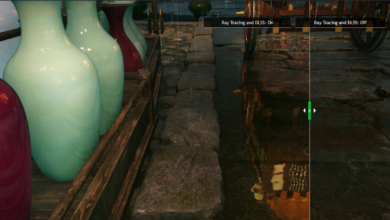 You can either use a budget APU like Ryzen 2200G or even a high-end 8 core processor like Ryzen 2700X, which is an insane gaming CPU for its price. 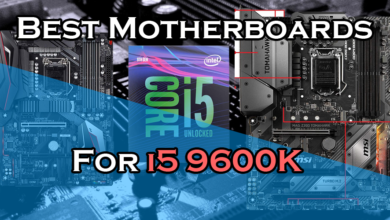 After analyzing different motherboards from different vendors, I have listed down the top 4 motherboards with B450 chipset which provide the best value for your money. With each price category listed down, you won’t have to research any further. But before taking a look at the best boards for each category, you may want to have a look at the top choices other than listed. 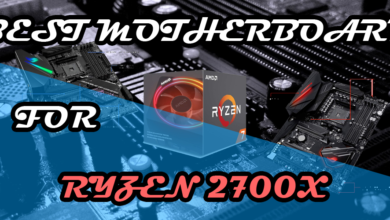 When you have a limited budget for your PC, then it’s not wise to spend over $100 on a motherboard especially when you are trying to use a budget Ryzen processors like Ryzen 2200G or a 2400G. Even though the faster Ryzen processors such as 2600 and 2700X will work just perfectly fine on it but I would recommend going with this board only if you want the best value out of your money with a budget Ryzen APU. Gigabyte with the last B350 series motherboards did not do proper justice in terms of making powerful VRMs that would be capable of good overclocking. 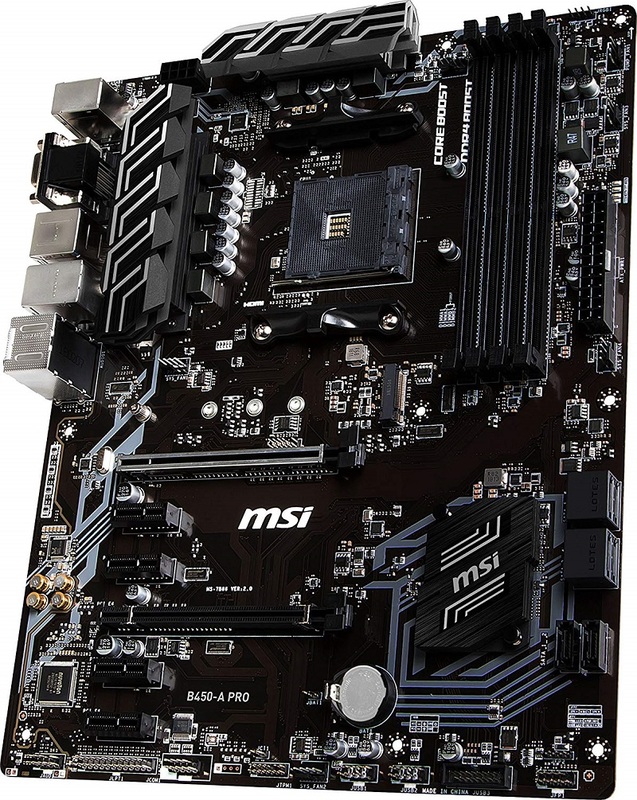 But with this board, they have employed a good technique in removing those limitations by more power phases as compared to the other motherboards in the same budget on the VRM section along with an Ok-Ok heatsink for proper cooling. I am still not 100% sure if this board uses a 5+2 or a 3+2 power phase VRM but looking closely above the chokes it’s clear that the two chokes on the top have different dual-ICs than the rest of the 5 chokes and therefore, it’s more likely that it is a 5+2 power phase VRM. Nonetheless, this board seems a good deal for only $70 with a Micro-ATX form factor which is compatible with most of the mid-tower cases along with M-ATX cases. It also features 4x DIMM slots for expanding the RAM capacity up to 64GB and can let you overclock them up to 3200Mhz. For the graphics card, you can use either of the two PCI-Ex 16 slots or if you are planning to use an APU, then you are good without it. One limitation this motherboard has is the number of fan headers present on it: with only one for the CPU Fan and one for the Chassis Fan. On the other hand, it comes equipped with 8x USB ports(USB 2.0 and 3.0 included) that are hardly found on a motherboard with this form factor at this price. It’s definitely the best one you can get for $70. For a full-ATX build, the MSI B450-A Pro serves as the best value for money motherboard due to the features it comes at under $100. If we ignore all the fancy colouring and aesthetics on a motherboard and concentrate only on the performance then the B450-A Pro wins in every situation: Be it mild overclocking, compatibility or upgradability. With 4+2 power phases, this motherboard is just fine in overclocking but don’t expect it to overclock an 8-core processor effeciently. Although, it has the capability to maintain its temperature under control with the help of those white /black coloured big heatsinks on both the top 2 power phases and the CPU 4 power phases. 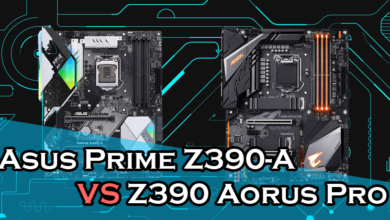 For mere $90, you will be getting a full ATX board with a lot of PCI slots for installing sound and wifi cards along with two PCI-Ex 16 slots that also supports 2-way AMD CrossfireX. Sounds great, Right? The board also features a total of 6x SATA ports for installing up to 6 storage devices and 2x M.2 slots for NVME SSDs for blazing fast operation. With now StoreMI as a new addition to these boards, you will be able to take advantage of the hard drives up to their full potential. Unlike most of the B450 motherboards of low tier, it can support memories overclocked up to 3466Mhz and also brings a total of 6x Fan headers(Including CPU fan header) for maximum cooling of your system. Building a powerful gaming PC with this motherboard will be a win-win situation as you will be getting all the advanced features in $90 and you can easily invest the rest of your dollars in a powerful GPU or CPU. Gigabyte’s B450 Aorus Pro Wifi is possibly the best motherboard you can buy with a B450 chipset right now. 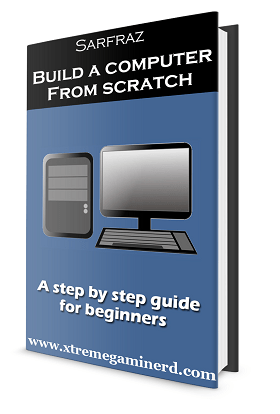 Yes, there are some equivalent options available but with this board, you will be able to save some more bucks but without having to compromise with anything else. 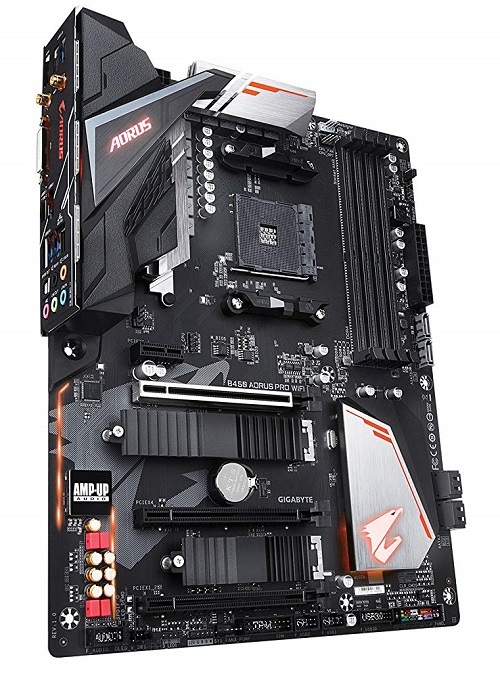 Gigabyte’s sub-brand Aorus is popular for both the motherboards and GPUs and I have been using Aorus X370 Gaming 5 motherboard for more than a year now. I can say confidently that it passes both in quality and aesthetics. 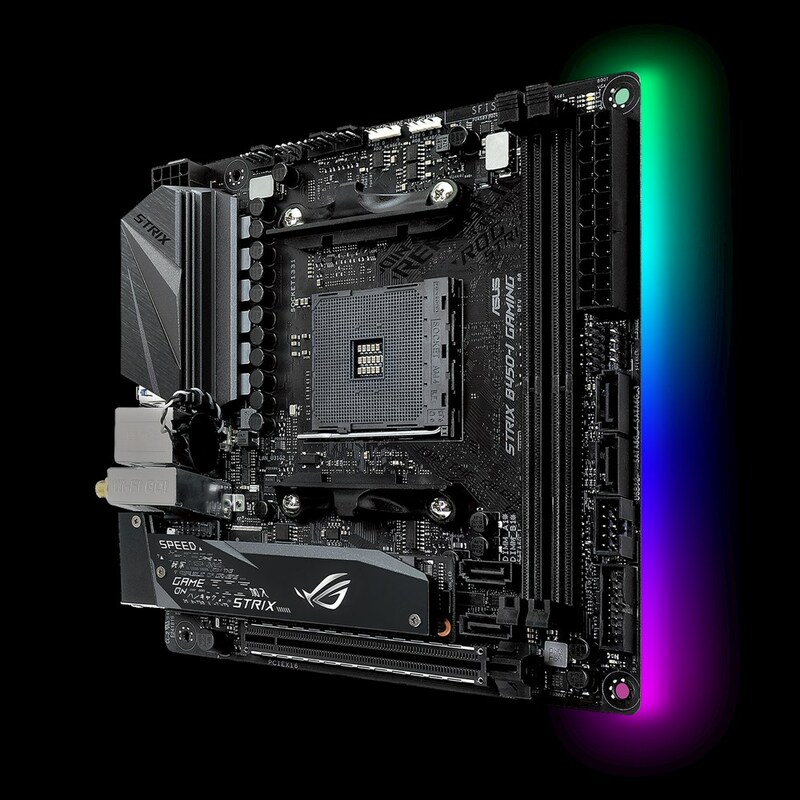 This board also brings the same black/orange theme with RGB lighting effects in different zones that are customizable through the Gigabyte’s App Center. 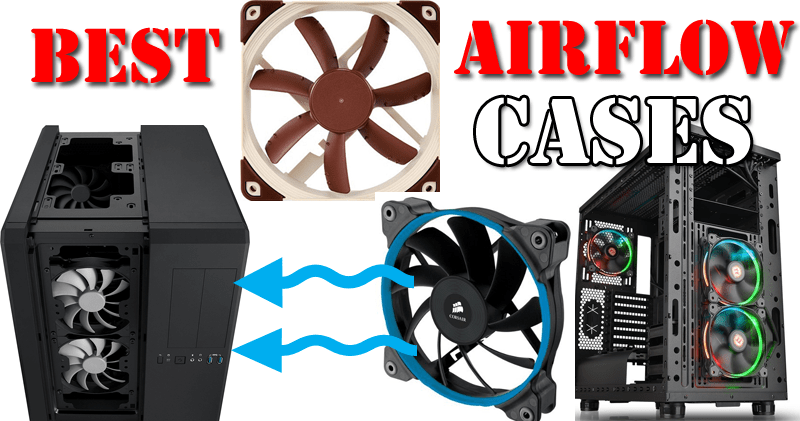 Its components are well-protected and its VRM is well made with 8+3 power phases that are cooled with the huge heatsinks. Not only the VRM section, but the M.2 NVME SSDs will get the aluminium heatsinks for maximum cooling which isn’t present on the MSI’s Carbon Pro AC motherboard which is an equivalent to this one but at a higher price. 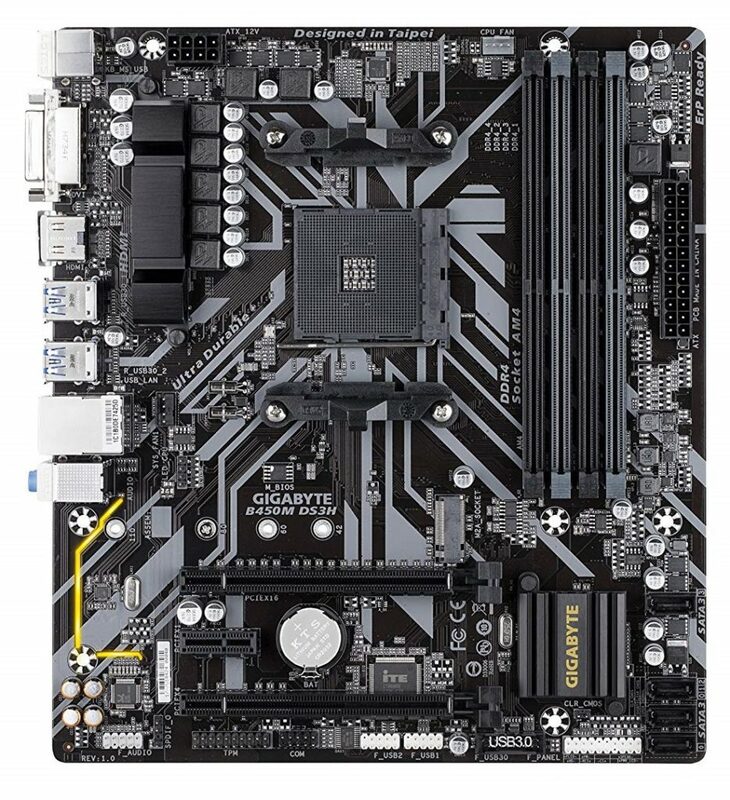 This board also features inbuilt Wifi which most of the users lack in their ATX motherboards. You either have to use a Wifi card or a LAN cable in order to use internet on your PC, but what if you can get it out of the box? Yes, that’s what this motherboard is equipped with. Taking these additional features into consideration, this one is a top choice and one of the best boards for overclocking due to the fact that it uses so many power phases in the VRM which means more stability. For cooling, there are several fan headers on the PCB and for I/O, there are different types of USB ports available. It consists of USB 3.0, 3.1 as well as 3.1 Type-C ports which aren’t available in the MSI B450-A Pro motherboard which I consider to be the best value. But as you are spending around $30 more here, these additions will only help in increasing the overall performance. 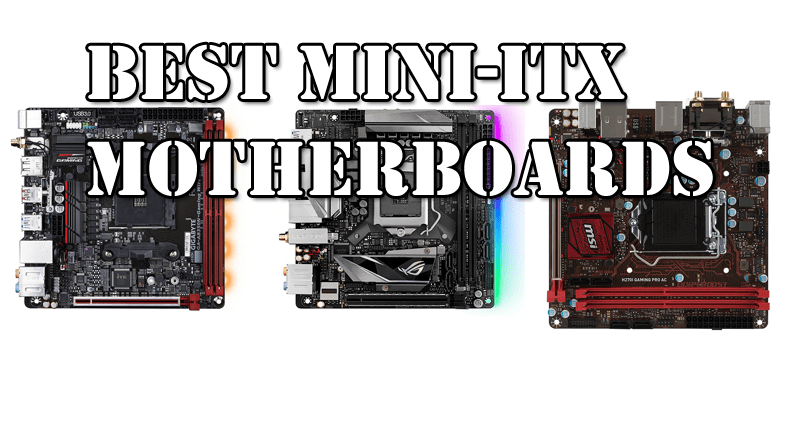 The list can’t be completed without mentioning an ITX motherboard. Everyone has a different taste. Some builders like small PCs and some like me like mid and full towers. For a powerful yet compact PC build, Asus ROG Strix B450-I brings the best performance to the table. Though expensive than most of the ATX motherboards, it doesn’t fall behind in overclocking or aesthetics. As ITX motherboards have lower upgradability due to small form-factor, a lot of features are pre-included in them. As this motherboard doesn’t have a PCIx 1 slot, you will be getting inbuilt Wifi for internet connectivity. For Overclocking, it is equipped with powerful and quality components that contribute to a 6+2 power phase VRM: powerful enough for handling strong overclocking. For storage, there are 4x SAT ports and 1x M.2 slot for SATA drives and NVME SSD respectively. For memory, it can support up to 32Gb of RAM overclocked up to 3000Mhz. For amazing sound quality, it delivers 8-channel HD audio with the ROG exclusive SupremeFX S1220A that is done with the help of100% Japanese capacitors which are famous for their reliability and long-run operation. As you will be paying $150 for this board, you will also get addressable RGB headers and inbuilt LED strip at the right-bottom of the PCB. If you like compact PC’s more than a mid or a full-tower PC, then this one is a no-compromise motherboard for any Ryzen 1st or 2nd Gen APU/CPU.